Now, I can't prove this, but I'm pretty certain the Yard used to be a fancy Italian restaurant. In the space currently occupied by Yard Gastropub at 736 Bellefonte I can vividly remember an anti-pasta bar, white tablecloths and ordering some type of clay pot chicken. This was over twenty years ago though, so I might just be remembering a trip to an Olive Garden. It is hard for me to say, but the memory of that delicious clay pot chicken remains. The Yard is one of Shadyside's newest beer bars. There seems to be this basic recipe for commercial success in Shadyside. Large draft beer selection + big televisions + postmodern decor + lackluster craft cocktails + contemporary food options = GREAT SUCCESS! I suppose for the most part that these are basic bar amenities, but there is a peculiar quality to the bars of Shadyside. There's something a little too vanilla right beneath the surface that you can't adequately describe. The bars lack genuine character which they attempt to mask with a veneer of mojitos and hot waitresses. 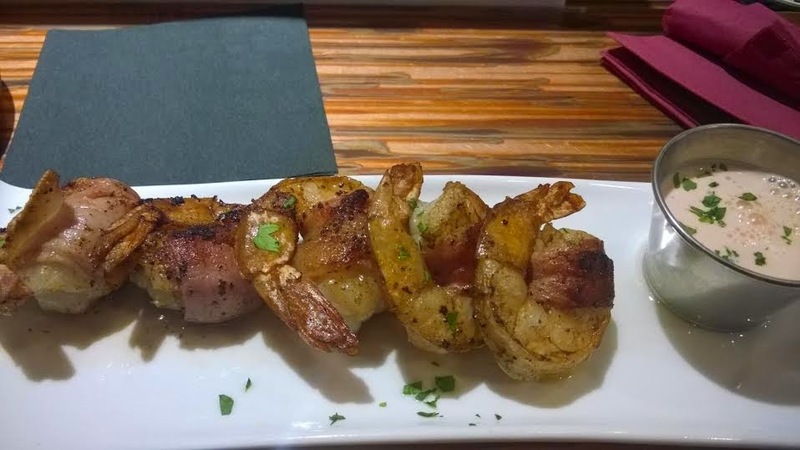 The best dish I sampled at the Yard had to be the prosciutto wrapped shrimp. The shrimp were cooked perfectly and benefited greatly from the saltiness of the prosciutto. I think they could have used more prosciutto, but the dish was only about $5 for happy hour - leaving no room for complaint. This was supposed to be poutine. Poutine is a Canadian dish that typically is made with a light brown gravy, a smaller sized french fry and cheese curds. 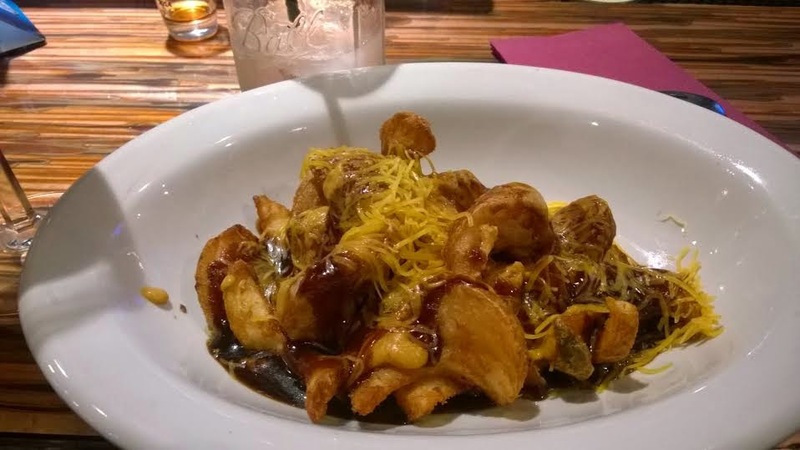 This poutine was made with a burnt dark brown gravy, soggy potato wedges and what appeared to be shredded cheddar cheese. This was probably one of the worst things I've been served at a bar in the last several months. I couldn't even give this dish away, nor could I get the taste of the burnt gravy out of my mouth. I'm pretty sure this poutine, as prepared by the Yard, is responsible for the unrest that has been occurring in Canada. On the menu the Yard claims that the cheese is made in-house. If that is really the case, they might as well just go buy the low fat cheddar cheese at Aldi and save a few bucks. On Thursday the Yard offers a decent special. For $10 you get a Juicy Lucy burger and a beer. Considering some of the beers you are allowed to choose from are in the $7 to $8 range, this really is a bargain. I have to be honest, I could not bring myself to order anything else from the Yard after indulging in their gut busting craptastic poutine. 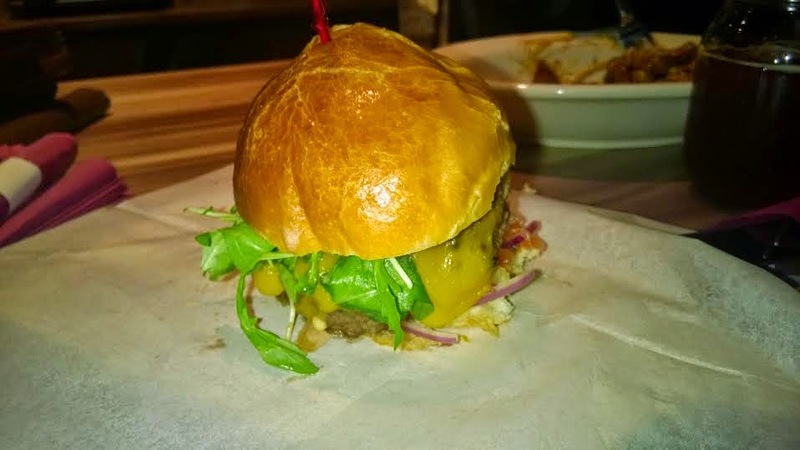 However, I did try a bite of a friend's Juicy Lucy and it was not bad at all. Go for happy hour and the Juicy Lucy, skip the poutine!